100% cotton (controlled biological cultivation, fabric weight 60 g/m²), origin: France. Contains non-textile elements of animal origin: mother-of-pearl buttons. Made in Germany. Comes in white. Back length for Size M = 66 cm. This blouse has a double-layered back and front. 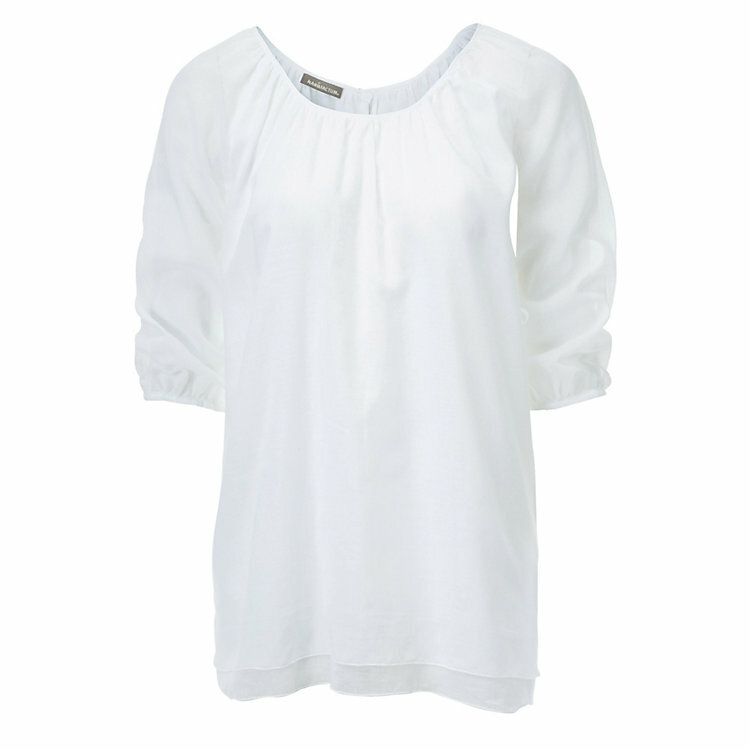 The fabric at the low neckline and on the sleeves is attractively gathered. The blouse is fastened at the back and on the sleeves with mother-of-pearl buttons.